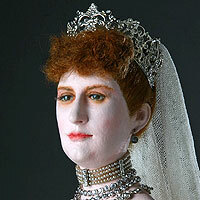 Wife of Edward VII who overlooked his endless indiscretions. 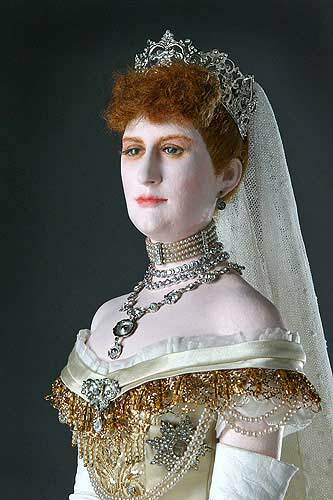 Alexandra Princess of Wales (1844 - 1925), Alexandra of Denmark before Queen to Edward VII and later Queen Mother was greatly loved by the British people. She enjoyed activities such as dancing and ice skating. Her behavior led to some friction between Queen Victoria and the young couple. Complications from a third birth and rheumatic fever left her with a permanent limp and increasing deafness. 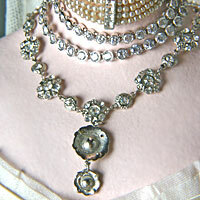 She was also famous for her elaborate toilet and jewels, especially her high choker necklaces. 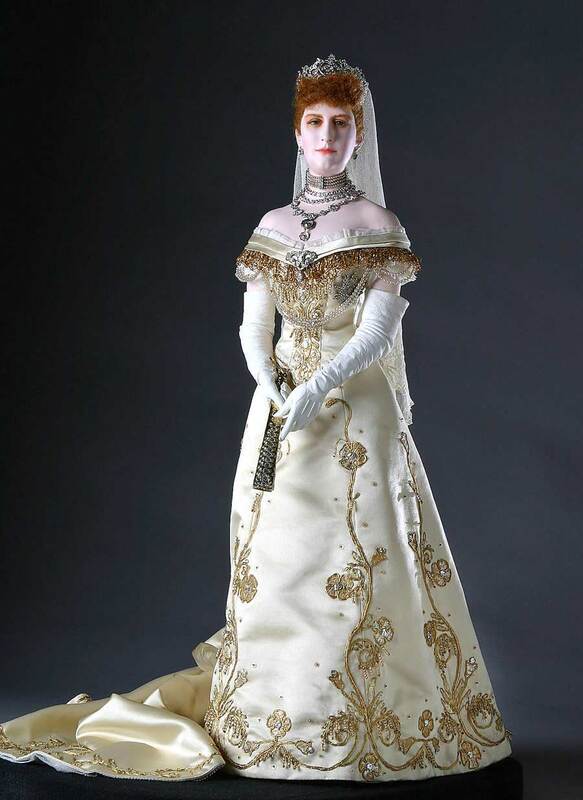 A strikingly attractive woman, Alexandra’s high necklines started a fashion craze in the Victorian Era. She suffered greatly from her husband’s infidelities.